Growing up my father was in the building and construction industry, so from an early age I was exposed to the ins and outs of property development and renovations. During my spare time as a flight attendant, I was constantly asked by friends, family and neighbours to help decorate their homes. It was then I discovered this was my true calling and where I was meant to be. In 2005, I started Sensate Interiors to assist clients with property styling, turning everyday properties into beautiful spaces with the wow factor. Property styling has always come naturally to me. I have been very successful in finding and exposing the heart and soul of each home that I have worked on and showcasing the best features to maximise the property’s appeal and enhance it’s value. Over the years, I have increased my offerings to include more than just property styling. I am now assisting and working closely with trades, either in construction of knock-downs/rebuilds, or extensive home renovations. This line of work gives me a great sense of gratification, seeing something grow from start to finish. I love seeing the design evolve throughout the building process and seeing my clients reactions when the project has been completed. I have always believed that design cannot be taught or learnt - it is an innate quality. Christina Prescott Design is an interior design and colour consulting studio delivering beautiful bespoke design solutions that reflect our clients personalities and lifestyle. Bringing together the principals of sustainability, beauty and functionality, we are passionate about creating homes with heart. Kennard Gornall Designs are the result of a unique collaboration between Kyla Kennard and Nathan Gornall. We deliver projects that deeply reflect who you are and how you live, with a level of quality that surpasses expectation. We strongly believe the foundation of every successful project starts with the relationship between us, our client and the environment we will be transforming. The process of understanding your desires, the potential of the site and the unique creative and technical skills required underpins everything we do. Our ongoing collaborative approach ensures we understand your exact needs and desires and we create teams of specialists who contribute the highest level of skill to each project. We focus on quality and detail, coupled with sound technical knowledge to offer interior architectural solutions and luxurious bespoke designs for a varied clientele. 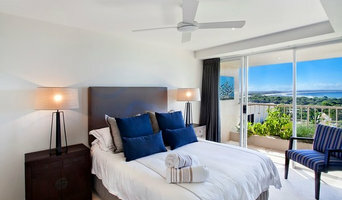 Beachwood opened its doors in Avalon on the Northern Beaches of NSW in 1993. The collection of high quality solid timber furniture is unique in character, affordable and made to suit the Australian lifestyle. Rustic or contemporary, the style is fresh with a coastal influence. 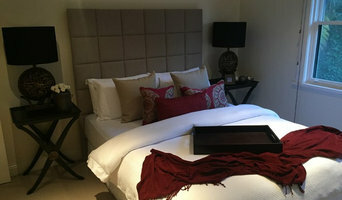 Our homewares and soft furnishings compliment the furniture and give Beachwood its own distinct feel. Beachwood specialises in custom-made furniture. Working with a small, skilful and artistic group of craftspeople, we create individual pieces that are stylish yet simple and timeless. Furniture with rustic, whitewashed and natural timber finishes is what creates such a fresh and comfortable feel. Beachwood also designs and makes furniture from the warehouse in Warriewood. We work with reclaimed timbers to create beautiful one-off pieces. We are a small team who have worked together for years. We are passionate people that are excited by beautiful things. We are a strong part of the local community and always strive to ensure that our customers are equally excited and inspired by what we do. Co-founder and interior designer at St James Whitting eco interiors. We design buildings, renovations and interiors for residential and commercial projects. We provide colour selections to enhance your space, and advice on design details and furnishings including lighting, furniture, furnishings, window treatments and flooring. 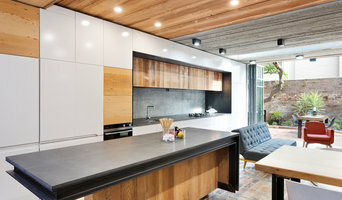 We also specialise in kitchen and bathroom design. We focus on creating beautiful, bespoke solutions that consider the health of you, your family and the environment, working with manufacturers and suppliers of products that are of the highest quality in materials, manufacturing practices, distribution and product stewardship. Wherever possible we specify products with a clear chain of custody and lifecycle assessment, certification of authenticity and environmental statement. We believe that by looking after the environment we can help to make a positive impact in our community, while creating buildings and interiors that people love to live and work in. We believe that everybody has the right to experience good design, whatever their budget and work with our clients to give them the best outcome for their project. We use the latest design technology to produce architectural drawings and renders which enable our clients to visualise their project outcome. We submit plans to Council on behalf of our clients and work with them to find the best builders and tradespeople to deliver their project on time and on budget. The business was founded in 2013 and mostly focus on medium to high end Residential projects, renovations, new builds and Multi Residential design as well as display suites. Here at JDZ Designs we have a very collaborative process that we believe makes us stand apart from the crowd. We believe that your home and space is all about you, so we believe working together is how we can achieve the best results. We do what we do because we love transforming the lives of our clients through their homes and spaces as we believe it is imperative to 'love your space.' This creates a happy and healthy lifestyle for our clients and gives us the most satisfaction. We thrive on being innovative, collaborative as well as listening, forming relationship and communicating with our clients to achieve the best results. 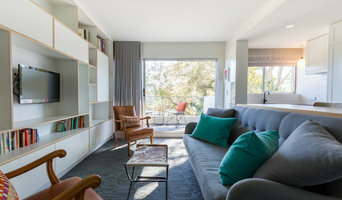 Oliver Myles Interiors is a bespoke Sydney interior design studio and boutique homewares store, led by owner & creative director, Richelle Langdon. Richelle has extensive design experience working across a range of projects including residential new builds and commercial projects, hospitality and interior styling. We love nothing more than creating unique interiors and transforming spaces for our clients beyond their expectations. We provide a full-scale interior design service and specialise in new builds, renovations, kitchen, and bathroom designs. At Oliver Myles Interiors, we pride ourselves on our attention to detail and quality finishes to provide an exceptional outcome for our clients. We want our clients to connect emotionally with the space that they live in. We work collaboratively to reflect our clients' personality and aesthetic. We want you to feel at home. We love designing and transforming spaces, offering a fresh perspective and seeing the vision come to life for our clients. AJD Interiors is a Sydney-based design studio offering sophisticated and innovative design solutions to meet each client’s individual style and needs. Projects range in scope from residential and holiday homes, commercial spaces, boats and hotels, always ensuring a high level of service and attention to detail. 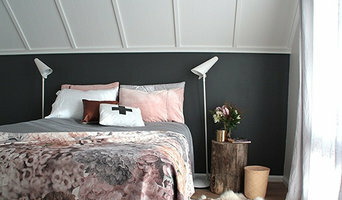 Principal designer and owner Anna Crott has a wealth of experience coupled with a keen aesthetic eye. Initially working in the fashion and textile industry, Anna’s career took a number of turns before pursuing her passion for design, completing degrees in both interior design and colour theory. Anna has an elegant approach to design, fusing an eclectic mix of old and new pieces from all over the world to create functional spaces with a twist! Always at the forefront of fashion, Anna motivates her clients to think about their projects in unique and different ways, with inspiring results. You’ll find something unexpected in every space.